This Summer I was making a cross country (half way) trip with my brother. We wanted to stop somewhere along the way and play some golf. This would give us a chance to relax and to get out and stretch our legs. Preparing for this trip turned out to be a lot of fun. I can’t even estimate how many different courses I looked into that were along our chosen path. There were so many nice looking places to play that it was a pretty tough decision. Courses in Pennsylvania and Ohio seemed to be great, as well as in northern Indiana. 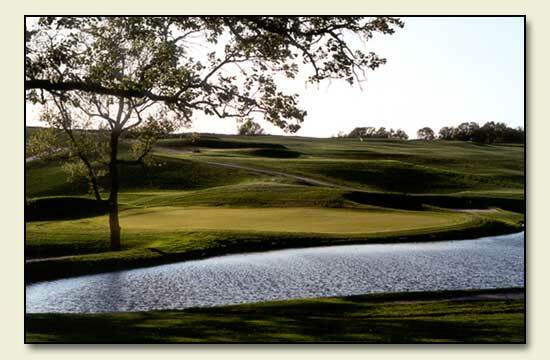 After a lot of research, I finally decided on a highly ranked public course in Iowa called The Harvester Golf Club. There were many factors that helped me decide on the Harvester. The photos of the course, the location, the rankings, and the reviews to be specific. One thing that I always look for in a course is the quality of it’s website. This isn’t a must for me, but it sure helps when you can look at some course photos and easily navigate to the rates or specials. The Harvester has that. As my trip was getting closer, I decided to give them a call and set up a tee-time. The person I talked to was very courteous and helpful. They were also very understanding about my situation (driving through, cross country trip) and understood that there was always a chance something would come up that would alter my schedule. I couldn’t have asked for better service from them. Unfortunately a few things did happen that kept me from making my tee-time at The Harvester (not to mention it was nearly 110* there the day we were supposed to play). As much as I hated to, I had to call and cancel my tee-time. They were again understanding and as nice as you could ask for. Ahh…Midwest hospitality. So, I missed out on what looks to be a pretty amazing course. It has been ranked numerous times and has great reviews. It is fairly long (7,340 from the tips) and looks to have some very difficult holes. This is a course I will undoubtedly play someday soon. I can’t wait to write a review on it.